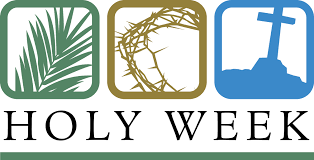 Holy week begins with Palm Sunday service on April 14th at 10:30am. Maundy Thursday service on April 18th, 7:15pm is followed by Good Friday service on April 19th, 10:30am. Then, join us on Easter Sunday at 9:30am for an Easter Breakfast and egg hunt, followed by service at 10:30am. Welcome! We are neighbourhood church located located right on the border between Port Moody and Coquitlam BC, Canada. Officially we are on the Coquitlam side of the boundary but our congregation also has deep roots in Port Moody where it first gathered for worship. We are a diverse, welcoming, and inclusive community. Together we are exploring faith, learning what someone once called ‘the unforced rhythms of grace’. We know this is about a journey not a destination. It’s something we do with our community and not for it….and it’s all about hope. As we gather for worship, for book club or hikes, we are re-formed by Jesus’ grace, love, and hospitality. We are learning to love what God loves and to advocate for those things that need to change if this world is to reflect God’s beauty. We are committed to the work of the Evangelical Lutheran Church in Canada (ELCIC), our denomination and the BC Synod. We are full-communion partners with the Anglican Church of Canada. We are currently finishing our work on our welcoming documents so that we can ensure a credentialed welcome to our LGBTQ community.